Ballinger is a lot of fun to follow on social media. His backcountry skiing and training during the winter and he's on Everest again right now without supplemental Os. He's a machine! This is local to me. Yesterday I met up with Kim & Archie, who are about to complete the CREB Track leg of the 5330 km* Bicentennial National Track. I met her and her horse at the Daintree Crossing (25 mins. in) & observed that their crossing was safe & alligator**-free. ** 5-metre (16') crocodile noted recently. No alligators, though. Keep an eye on the rudder!. Cleanup crew probably had extra duty in the cockpit. The ISS was silhouetted against the lunar disk for a mere 0.86 seconds Wednesday night, according to Krivenyshev, who has also captured the station transiting the face of the sun. During a night's stay at Soldier Lake I set my camera outside the tent to capture the star trails. A little later was I awoken by a loud boom. This video appears to have captured a flash of light at that moment. Could this have been a meteor? That's pretty cool. I kept repeating the sequence @6 seconds to see. It definitely lit up the view. It MUST have been from a meteorite flash. I would think that if a meteorite reached or nearly reached the ground, its speed would create a sound barrier boom. I met several people the following day whom heard the boom but none of those seen the flash. I checked the local news and found nothing. I hope to get out there again this next year. I had a blast. Down at Rock creek I had a bear try to get into my bear container and he made it past the first locking tab. I bet this wasn't its first time around the block with those canisters. I made this video using Google Earth. It gives a pretty good look at the trail for those who have never been. Michael, good work! I have a really hard time trying to get Google Earth to go where I want it to. You have obviously mastered the controls. Google Earth sure minimizes the trees. The beginning of the hike goes through trees often enough, but this flyover doesn't give any impression of that. Curious. Figuring out the controls is tricky but once I got the settings right it works well. The flat trees do make it look much less appealing and could confuse a first timer to the trail. But it does show how spaced the trees are. I've seen topics on other forums about what people read and what music/ audio books people listen to on the trail so I wanted to share this spoken word poem I made that covers the sort of things I think about often when alone on the trail. (And books I take vary from a pocket Constitution to David Foster Wallace's 1,079 page Infinite Jest novel). FM, good to see you back. 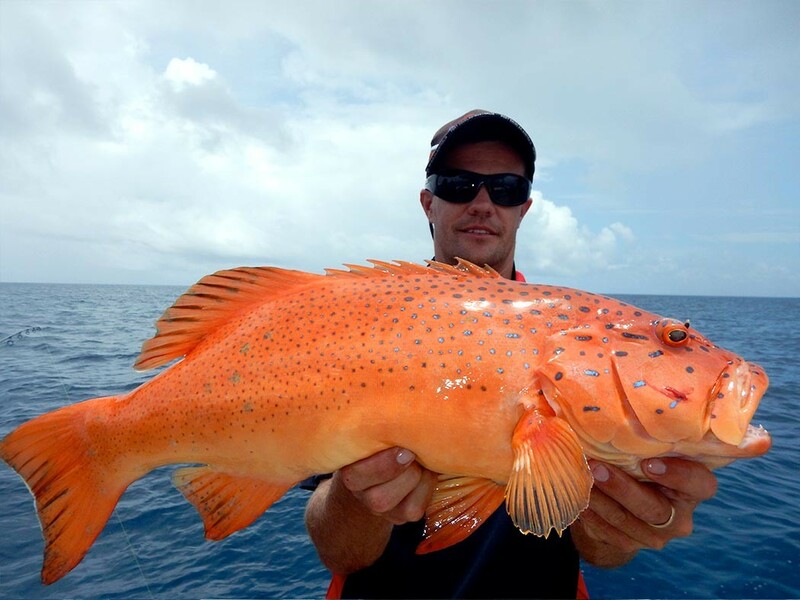 Not me, and not my Coral Trout, just can't find the genuine pic, mine was bigger, though. That's fun to watch. Thanks! Been a while since my last video post. This one is so unusual and cool, I had to find a place to share. One of the most interesting videos I've seen on Youtube in a while. What an adventure, during a time when the world was quite different. What an entertaining video! Thanks much for sharing it. Colonial Africa was sure different. The notes at the end, about the Congo exploding in warfare just after they passed through signaled the end of an era. Also: I wore shorts like that and no shirt too, in the 60s. It's that time of year again - the final installment of Ken Block's Gymkhana series. Has it been 10 years already? A perspective of hikers on The Pacific Crest Trail. Generated in 0.058 seconds in which 0.047 seconds were spent on a total of 15 queries. Zlib compression disabled.